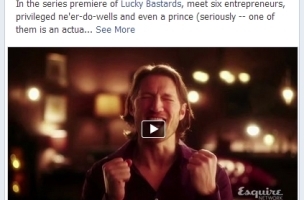 New Esquire Network series “Lucky Bastards” debuts at 10 p.m. Wednesday, but Facebook users didn’t have to wait to see the first episode of the new original series, as the network posted in in three segments on its Facebook page: here, here, and here. 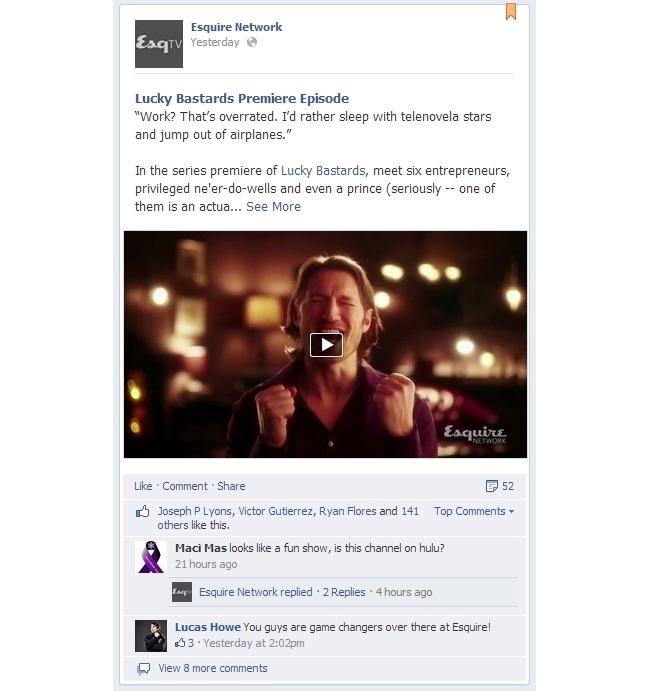 Esquire Network said this marks the first time a premiere episode was made available on Facebook, adding that it promoted the “Lucky Bastards” unveiling via paid media on Facebook and Google search support. Readers: Would you watch an entire episode of a new TV show via Facebook’s native video player?